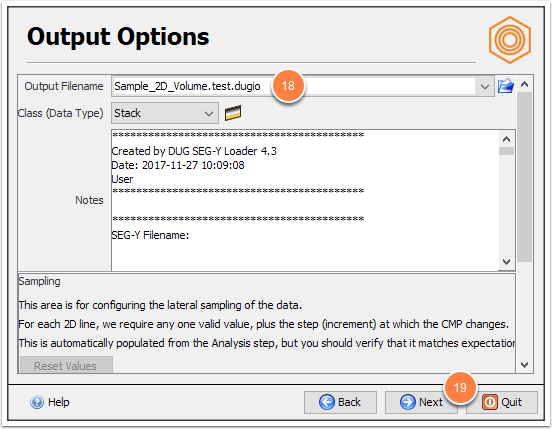 DUG Insight User ManualFrequently Asked QuestionsFrequently Asked Questions WorkflowsHow do I reverse the CDP to X/Y relationship for a seismic line? This procedure will permanently reverse the traces along a 2D line. Be sure you know what you are doing! Each trace on the line is moved to a corresponding CMP, measured from the end of the line. e.g. The first trace of the line is swapped with the last trace. The fifth trace of the line becomes the fifth from the end of the line. A copy of the line is exported to SEG-Y, making changes to the CMP header as it is exported. The seismic line is then reimported, using the replaced CMP values for each trace. The 2D survey geometry is not changed, so the new CMP values result in the trace order being reversed. 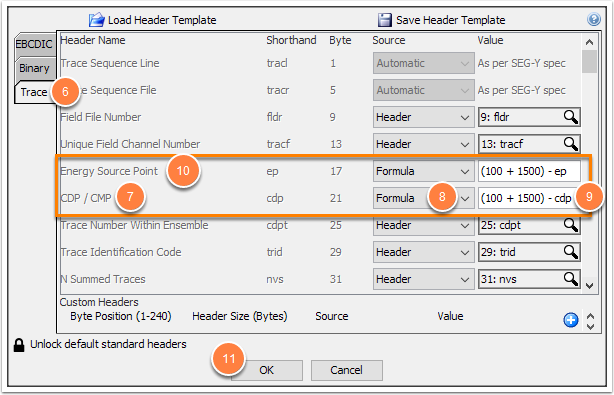 Normally, Insight does not allow changing headers that determine the position of a trace. For 3D data, these are the IL/CL headers. For 2D data, this is the CMP value. 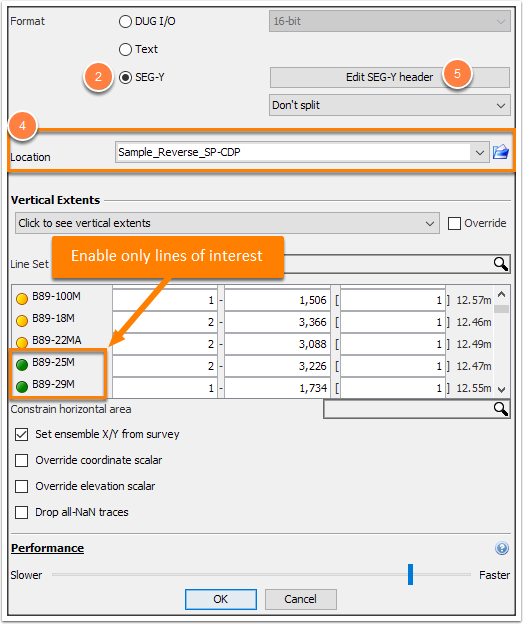 When exporting to SEG-Y, Insight quietly looks the other way and does not apply the same restriction. In the Export Volume window, select SEG-Y as the Format (see Export a 2D volume to SEG-Y). Disable all lines, then enable the lines that need to be reversed. Give the file a name at Location. In the SEG-Y Header Editor window, click the Trace tab. Click the Source drop-down, and select “Formula”. Click OK again to start exporting. Once the export is complete, save the session and exit Insight. 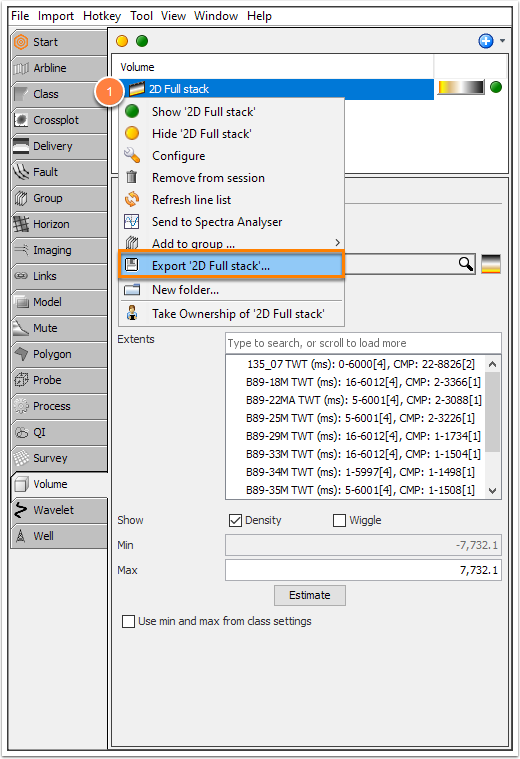 Tip: To QC the result, export the original survey and volume as backup. Use SEG-Y Loader to import the SEGY file created in step 1 (see Launching SEG-Y Loader). Select the exported lines (no need to rename). In the Survey page, select Use existing survey. In the Output Options page, choose the existing .dugio file containing your 2D data. A warning will appear letting you know that you will be overwriting existing data. Click Delete the Line(s) to continue. Only line being loaded will be overwritten. Data on other lines will not be affected. Launch Insight again and load the session to check the new lines. 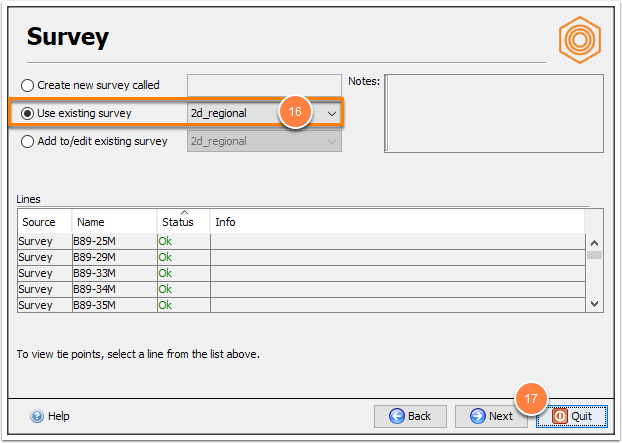 Import the original survey and volume from the earlier backup to QC the result. Prev: How to estimate seismic bandwidth using spectral decomposition? Next: Why am I having issues loading SEG-Y?